Internet pricing only, and pricing is for three rolls or more. Must mention Coupon Code SAVEFOR3. This price is for a limited time only. If you need less than three rolls, please call for pricing. 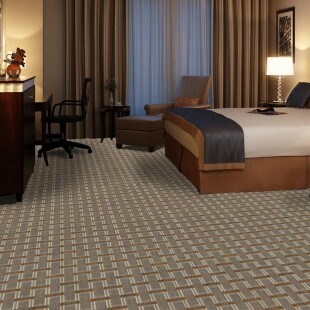 Patterns and designs add a powerful extra dimension to hospitality and industrial environments, creating impactful experiences for the guests who visit your space. Hospitality design uses mixed materials to indicate moments of rest and action by blending texture, color and patterns. 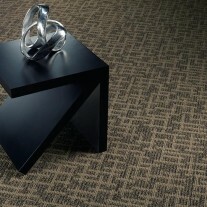 Let us help you create floor that gives you the best of beauty and durability. This is a commercial 32 ounce. Perfect when you need to create a clean, sleek and updated decor. Great for hotel rooms, corridors, reception areas, restaurants, churches and office buildings. Atlas is a cut-uncut solution dyed polypropylene, backed with a 15 year commercial warranty, built in stain resistance and easy clean. For a limited time you can buy Atlas at this price when you purchase three full rolls or more. If less than three rolls are needed, call for pricing.